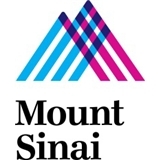 Whether you are a young professional, an established long-term resident, or a parent with babies or young or adolescent children, Mount Sinai Doctors in Williamsburg welcomes you. Our doctors practice family medicine. This means we strive to be part of the community we serve and improve the lives of our patients. Supported by a staff of medical assistants and nurses, we collaborate in helping you develop healthy habits, and by diagnosing and treating existing conditions, and providing preventative care. Whatever health care needs you have—from checkups and vaccinations to birth control and cancer screenings—you will find that we treat you as a whole person. Over time, we will get to know you, and you will build an important relationship that will support your long-term health. Dr. Melethil is so kind and thorough. I really appreciated all the time she took with me to answer my questions and concerns. She’s my new PCP! Dr. Sacher was caring and kind. The appointment never felt rushed and I wouldn't hesitate to refer anyone to Dr. Sacher. I ended up having to send her a follow-up message and to my great surprise she responded in less than an hour and resolved the inquiry. The receptionists were friendly and helpful, and my wait time was minimal. Dr. Naik was super personable and thorough, and I feel confident in having chosen her as my allergist! Definitely recommend. My favorite doctor ever. She establishes relationships with her patients in a way one doesn’t find much anymore. She truly cares!! Dr. Naik was great. She was thorough, answered all my questions and came up with a plan to help get my allergies under control. Great visit. Very professional and prompt. The staff took me a half hour early and had me out the door before my schedule visit officially began.